We’re all guilty of indulging in unhealthy habits more often than we admit, which causes our health to deteriorate if we don’t stop what we’re doing. The sad news is that people decide to quit engaging in their bad habits only because these habits have already taken a toll in their overall health and wellness. Apparently, it’s better to realize that we need to control our unhealthy lifestyle impulses as early as possible. One of the serious medical conditions soaring these days is diabetes. People’s fondness of sodas, donuts, and basically anything that has lots of sugar in it has made this very possible. Unfortunately, the daily habit of eating sweets is not just only associated with the rise of obesity in the US, it’s also linked to the global rise of type 2 diabetes. It’s about time to take your every day diet decisions seriously. Lifestyle changes gearing toward a healthier diet have proven to be crucial when it comes to stabilizing your blood sugar and reversing metabolic syndrome. Otherwise, diabetes is a very close possibility. Gulping down calories in the form of sugary drinks is one of the main reasons people become overweight. 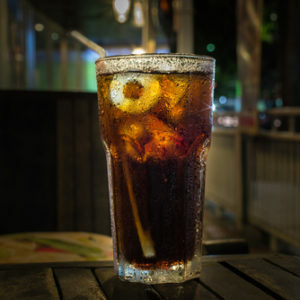 So-called fruit drinks, sweetened teas, and sodas are nothing but empty calories. They’re filled with sugar and nothing else. When you’re thirsty drink water to satiate your thirst without causing any health repercussions. You can also opt for low-fat milk. Many people skip breakfast, because, well it’s early and it’s hard to prepare anything when you’ve barely showered and you’re rushing to leave for work or school. But your body’s needs to eat something nutritious first thing in the morning doesn’t care. It’s not like your body’s going to give you a pass because you need to attend an 8 AM meeting. Once you miss breakfast, that’s it. If this becomes a habit, your risk for diabetes even increases. This is because letting yourself starve until lunch initiates a chain reaction that interrupts insulin levels and blood sugar management. Plus, starving yourself in the morning makes it more likely for you overeat later in the day. Eating plenty of veggies help with blood sugar control and weight loss. If you go for the non-starchy ones, such as broccoli, tomatoes, and squash, the better. If you have diabetes or you’re doing your best to prevent it, concentrate on filling your half of your plate with vegetables. Your body gets the fiber it needs to feel satiated and your blood glucose will sustain its stability. If you’re always eating meat, it’s time to consider eating fish instead. For one, it’s a great source of lean protein. Fish like mackerel, tuna, and salmon, among others, are high in omega-3 fatty acids, which are great for preventing diabetes. Plus, they keep your arteries normal and reduce the risk of high blood pressure and heart disease. That’s a lot of crucial benefits you should not be ignoring. 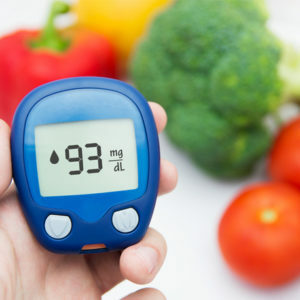 Pasta, bread, and potatoes, or at least too much consumption of them will significantly increase your blood sugar and your weight, which is are two things you definitely should avoid if you’re keen on preventing type 2 diabetes. To rectify this, be sure to eat carbs in moderation by just settling for a quarter of these on your plate. Instead of eating white bread, switch to whole-grain bread to help stabilize your blood sugar, regulate diabetes, and shed pounds. If you’re using the hours you should be asleep for eating on a regular basis, that’s a problem. This unhealthy eating habit results to increase in blood sugar and interferes with the release of insulin. To prevent this, do your best to eat a balanced and a well-rounded meal three times a day. This will help you suppress the urge to eat late at night, hence, making sure that your blood sugar is well-regulated. Previous ArticleEating More Fiber Is Good for Your Health-What Are the Best Foods That You Should Be Eating?